I was lucky enough to visit the beautiful city Berlin in Germany. It was super exciting and there is so much to do at any time of the day or night and the locals are friendly and helpful when you are out and about. 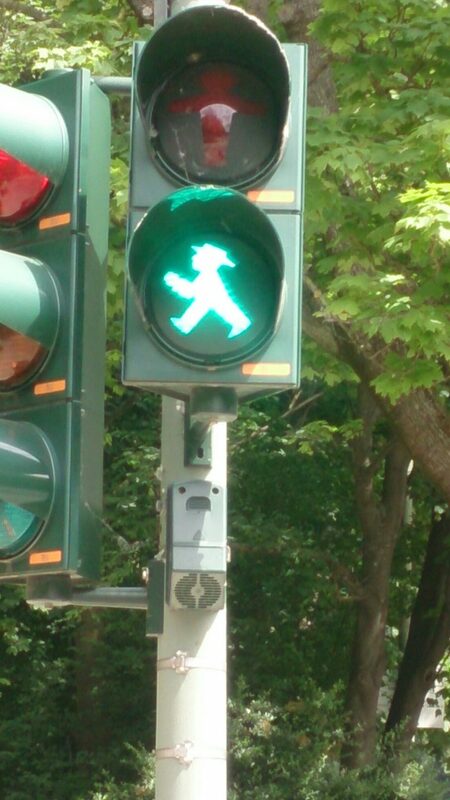 What got me really excited whilst I was there, was seeing the iconic Ampelmännchen which you can see in East Berlin when crossing the road. It is fair to say I crossed a lot of them as I really found these so adorable and iconic. I stopped in my tracks whilst touring museum island when I spotted Berlin Cathedral. It dates back all the way to 1905 in its current for and you can seriously feel the history as you stand infront of it. The whole of museum island has grate buildings I would certainly recommend a visit. There is so much to do in Berlin I had such little time on thing I would also say is how clean everywhere was (even the public toilets), I just had so little time to fit it all in. I’m going to pick out my best pics and definitely share them with you. Let me know your favourite places I’d love to check them out next time I visit. Pineberry – Is it as rare as it appears? I love Berlin! Did you go inside the cathedral? The views from the very top are absolutely stunning and definitely worth the climb! Berlin! So stunning. I want to go there to see all of the history so bad. The pictures you provided look awesome! Thank you I have soo many I think I will do a few more posts on Berlin. You must visit when you can it is such a beautiful place with lovely people and soo much history. Also the food is amazing!!! !